Do you remember all those 8 Bit games we were all crazy about when we were kids? Video games have evolved over time but those classic 8 Bit games still leave a mark in our memories. Today, we will try to relive those memories by listing down some of our favorite retro games. The world of video games begins with our favourite plumber Mario, who sets on a dangerous journey across the Mushroom Kingdom to save Princess Toadstool from Bowser’s forces of evil. Whether it’s the familiar chime of coins, or the sound of Mario obtaining the fire power, the legendary soundtrack of Super Mario is one which cannot be forgotten. Also, guiding Mario through the various Worlds, including Underwater and Pipe stages, as well as the boss fights in the trap-filled castles, was a fun filled and thrilling experience. The game had several versions among which Super Mario Bros. and Super Mario 3 were the most popular. 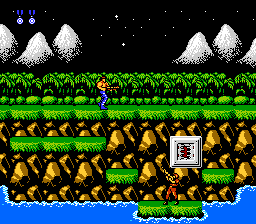 Contra is another 8 Bit legend that cannot be disregarded. The game was created by Konami and followed the story of a Commando who has set out to save the world from the wrath of aliens known as the “Red Falcon”. The game had 8 different stages having various obstacles and the player had to survive through them and defeat the enemy. A number of power-ups were available throughout the game that enabled the player to fire different type of bullets. Each stage had a Boss fight in the end. 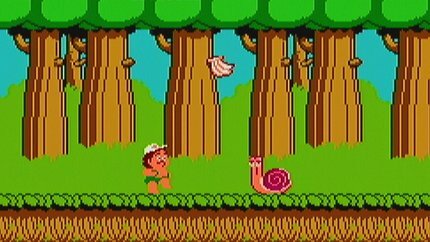 This is another funny 8 Bit adventure game about cave boy Higgins who goes on a quest to rescue his girlfriend Tina from the evil King Quiller. Higgins needs to constantly eat fruits along his journey in order to stay alive. There are several power-ups obtainable by breaking eggs that are found several times on the way. There is a total of 32 stages in the game divided into 8 Areas, each having 4 rounds. At the end of each area, Higgin’s comes across a different form of King Quiller, who can be defeated by several hits on the head. At the end of the 8th world, Higgins defeats King Quiller as he falls off the cliff while Tina is rescued successfully. This was another addictive adventure game based on the cartoon series by the same name. Players take the role of Chip or Dale (or both, in case of 2 Player mode). 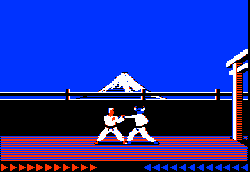 The character can pick up and throw objects at the enemies, or lose a life when he suffers a direct hit. This martial art based beat-’em-up game that involved twin brothers Billy and Jimmy Lee on their quest to rescue Marian. 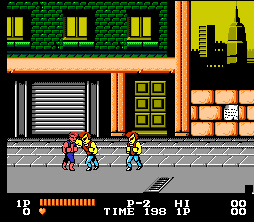 The game contained several stages in which the brothers fought the members of the Black Warriors gang. The players were capable of basic kicks and punches, and also a number of other combo attacks. The game ends when the brothers have defeated all enemies and Marian is successfully rescued. This was another beat- ’em-up video game in which the main character advances through Akuma’s fortress to rescue his beloved Princess Mariko. Akuma sends several of his fighters, including his trained hawk whom the player must defeat before coming face to face with Akuma. After he defeats Akuma, the hero and Princess Mariko leave the fortress together. 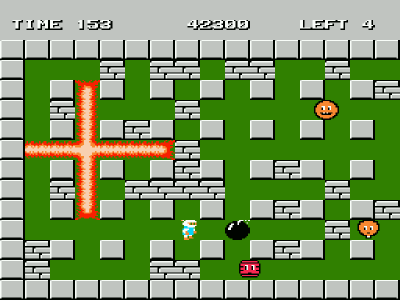 Unlike the other games mentioned above, Bomberman is a maze based strategy game in which the main character (Bomberman) has to blow away all his enemies and advance through levels. 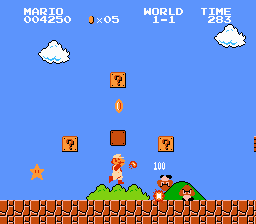 Each level has a different hidden power-up that is revealed by blowing a particular brick with a bomb. The player should be able to destroy all enemies, find the hidden gate by bombing a particular brick and going through it before time runs out. In this game, the player controls a clown named Charlie, who has to perform various dangerous tasks in order to complete the levels. Most of these dangerous tricks are balancing acts, like on a rope or on rolling balls. To complete a level, Charlie must go a particular distance while performing a dangerous trick. He also has to avoid several enemies and collect money bags, hence earning points. 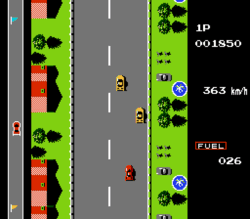 Road Fighter is an arcade style 8 Bit racing game where the player controls a red car. The object of the game is to navigate the car through obstacles (other moving cars and oil spills generally) to the finish line before it runs out of fuel. Fuel is partially refilled by hitting against special type of cars. The game features four different courses in each level. Excitebike is a motorbike racing game where the player competes against other computer controlled players to win the championship. The player should complete in the third or above position in challenge (preliminary) rounds to qualify for the final championship round. 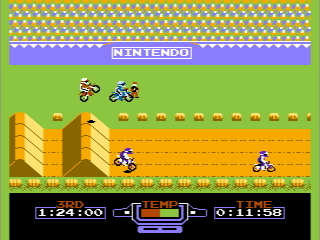 The target time for the third place on each track could be found in the lower left part of the screen, while the time to beat the first position could be found on the stadium walls. Each track had their own set of obstacles. Players were also able to create custom tracks. So that was 10 of the most popular 8 Bit games. Tell us about your favourite 8 Bit games through the Comments section. Happy gaming!